Ayurvedic diet is a Ayurvedic composant, an Indian medicine, it’s concidered to the same grade as physiotherapy, yoga, aromatherapy and Ayurvedic massages. 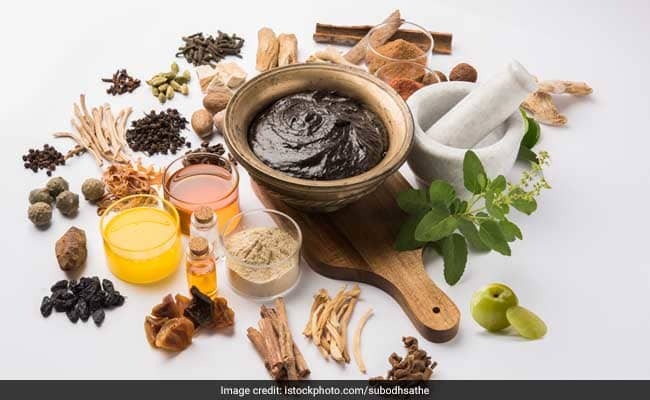 Ayurveda is a living art which let the body and the mind to feel reconnected, unfortunately, in a lot of Occidental countries, this topics is not Teach at the University of medicine. What the principe of the Ayurvedic alimentation? By taking in consideration this fact: each person is an individual person, we adapt a specific diet according temperaments to re equilibrate imbalances. What is the difference with Occident? 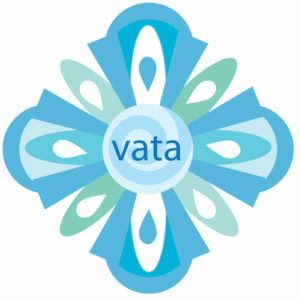 The Ayurvedic approach is really opposite to the Occidental approach, we think in term of nutriments, vitamine, contributions for the body while the Ayurvedic approachis a different thoughts path. We develop the science with 6 tastes including sweat, salty, pungent, sour, bitter and astringent in which each food Brings a different Energy ( heating or cooling) and a type of digestion corresponding to it. That’s why the interest of immersing yourself in this holistic medicine that has existed for millenia to find your balance. Prefer drinks and Hot food or served at ambiant température which help the processus of digestion. Conversely, avoid cold drinks, frozen and the aliments coming out of the fridge, that slow down this processus. To favorise digestion, it’s necessary to always est slowly in a quiet place by chewing slowly. Do not eat leftovers Beyond 24 or 36 hors after cooking. Avoid using them again with fresh fruit. Why call a spécialist Ayurvedic diététic? 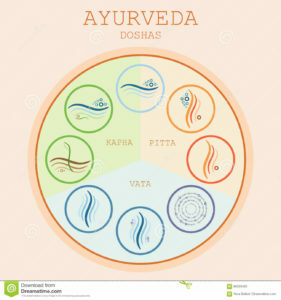 What does means DOSHAS in the Ayurvedic Philosophy, is the combinaison of terrestrial foods comprising : earth, water, fire, ai and ether from distinct and dynamic peers called DOSHAS. This allows you to define yourself and know what kind of food you are good. This Survey Will help you to define your alimentation, patience! It’s important to explain you that we are all made of this 3 Doshas but there is always one which takes over. Its characteristics: Hot, mobile, penetrating, Oily, mobile, liquid. 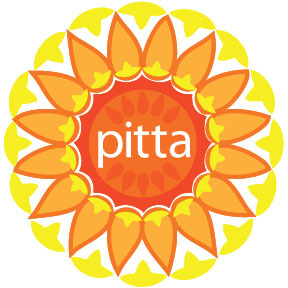 When you have an excess of Pitta, this is manifested by excess heat, oily skin, a relatively strong body and muscular. This is also manifested in your skin ( présence of acne, fat) or Risk of ulcers in your stomach. You sleep well and you have éléments of very good Energy réservés in your body to face your Day! Possibility to developp too much anger or perfectionism, you have to learn to control that and to refresh it. It’s necessary to avoid reviving this lazy sleep in you that’s why you Will avoid too spicy dishes. 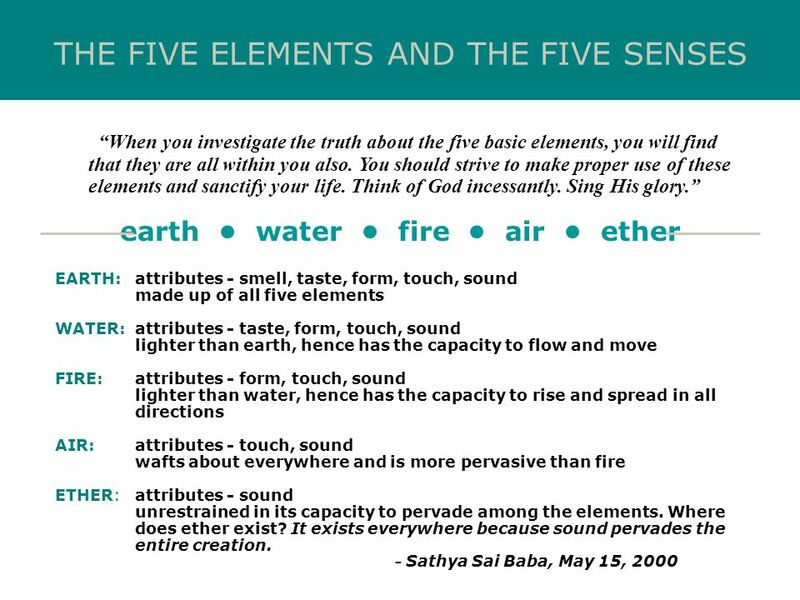 Excesses of our character: Chilly, have cold bodies extremities, restless, light sleep, Energy spikes but the VATA get tired fast, a loud flow of speech, bloating, a light Weight, a creative imagination and unstructured. Your goal: to seek to Weigh you down and warm you up. Your priority: spicy, Hot, fatty and consistent dishes are your priorities! As a result, less emphasis should be place on cold and light dishes such as row and cold salads. Your flavors: salty, sweet and acid! 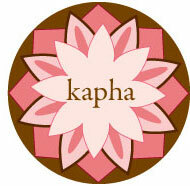 Kapha is the balance between land and water! Features: cold, wet, heavy, firm, sticky and soft. You have Weight and consistency while not being too stiff or airy. The manifestations of an excess of Kapha are Congestion in the sinuses, in the lungs, a rigid and fixed mind, normal skin, you are neither too Hot or too cold. Round body and voluptuous. Imperturbable calm and heavy sleep. Flow speech is slow. You must take over your slow nature to move more. Feel free to comment about your own expériences and exhanges the changes you are experiencing with your dietary changes. Thank you for your Reading ! and see you soon.